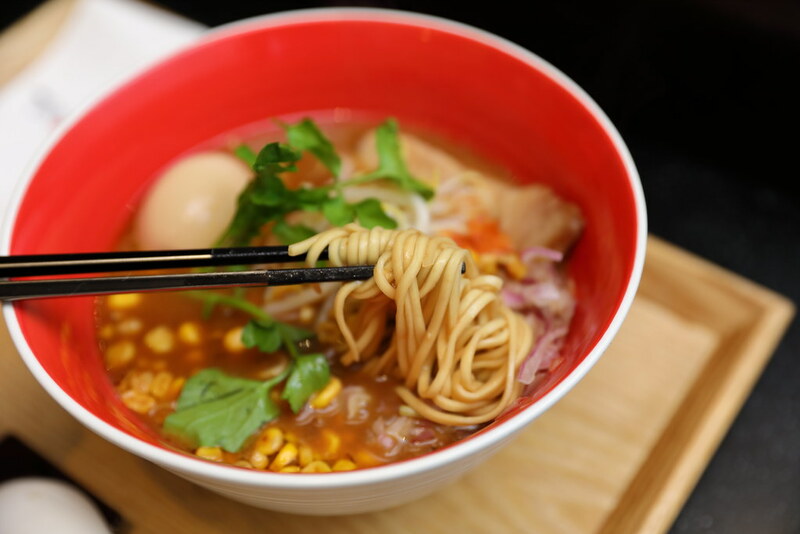 With the successful opening of its first outlet at Pacific Plaza, Singapore, Tsuta has opened its second outlet at Tai Seng serving its michelin star ramen. 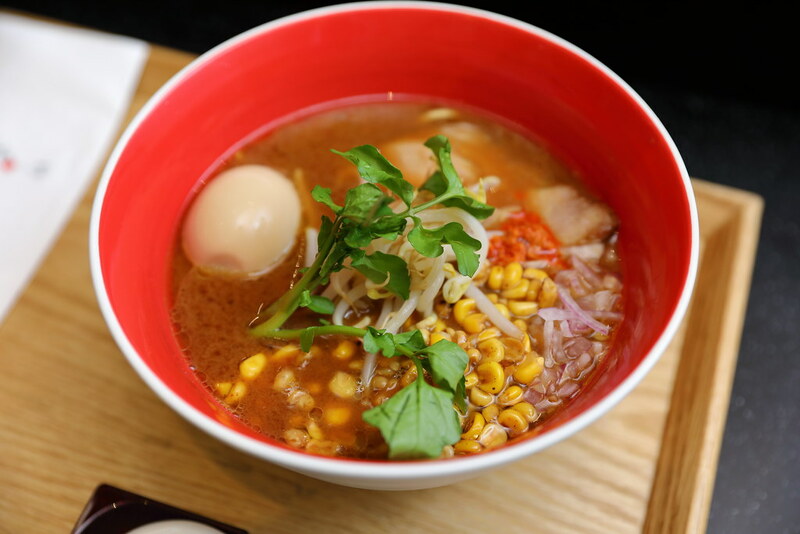 In conjunction with the opening of its second outlet, it has also unveiled the Miso Soba or Miso Ramen. I have made my way down to 18@Tai Seng to check out the new Tsuta and its new Miso Soba. 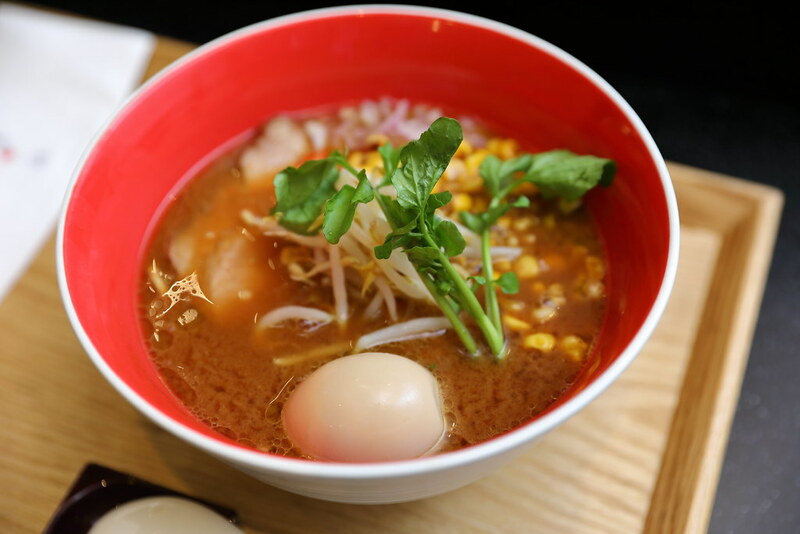 The bowl of ramen uses hatcho miso imported from Tokushima prefecture. Porcini mushroom oil, bean sprouts, watercress and corns are added to complement the rich miso flavour. The noodles used for the miso soba is also slightly thicker compared to the Shoyu version which goes better with the heavier miso broth. When Tsuta first opened in Singapore, it introduced the Shoyu Soba and Shio Soba which is kind of new to the local palate. 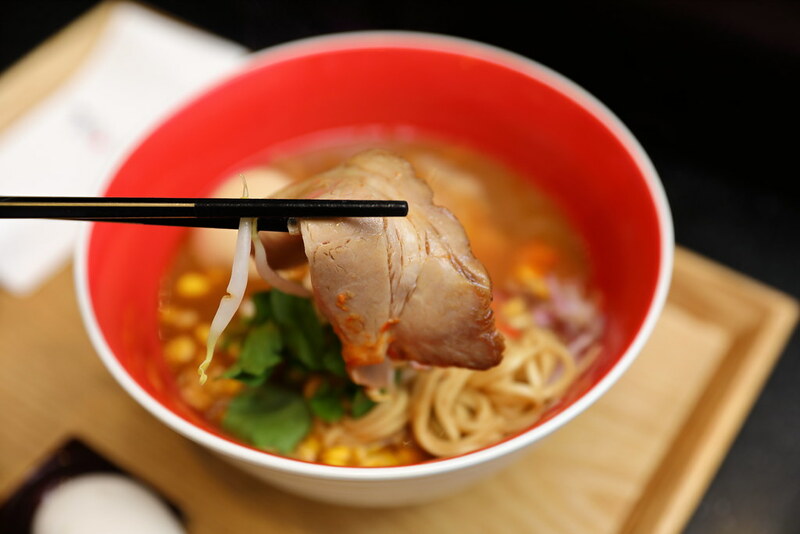 It is unlike the tonkotsu broth that Singaporeans are used. With the unveiling of the miso soba, I felt it is more receptive to the local palate. Do note that the Tsuta outlet only sells the Shoyu and Miso soba at the Tai Seng outlet. If you want to try the Shio version, you have to go to Pacific Plaza outlet. The Pacific Plaza outlet offers both the Shoyu and Shio soba only.